Welcome to the meditation lesson website that teaches you how to meditate correctly with a large variety of yoga meditation techniques from Zen, Taoism, Buddhism, Christianity and other spiritual traditions. The more you practice meditation, the easier it will be to lower your stress levels, learn relaxation and achieve spiritual growth. After reading my free lessons and articles, I promise you won't get sidetracked anymore pursuing personal growth and self improvement teachings that lead nowhere. You will finally stop flipping between endless meditation techniques and spiritual schools because you fear you're missing something. You'll be on the right non-denominational, non-sectarian path. You will learn how to meditate correctly... and effectively... and spiritual progress will finally be within reach. You will become warmer, healthier, more open, free and relaxed. On this website you will find non-denominational information on various guided meditation methods, transpersonal psychology, consciousness studies, Zen, Christian meditation, Buddhist contemplation, vipassana, japa, kundalini awakening, yoga, chakra balancing, mantra, comparative religion and the common stages of spiritual progress. Our specialty includes Zen and Buddhist meditation methods, yoga practices, and various secret, esoteric or yogic techniques in general. There are free articles on our site for you to read and share with others, or reprint on your own site (please do!). Sometimes you'll even find entire books on transcendental spiritual stages to help you make spiritual progress. No one lese offers this information ... most of it is FREE! Before you start exploring, you should know that we also send out a free newsletter that covers various spiritual topics and how to meditate using various transcendental techniques from both the East and the West. It also has a natural health focus on holistic medicine, peak human performance, metaphysical topics and spiritual cultivation. Zen meditation, Taoism, Buddhism, Hinduism, Christian meditation practice, yoga techniques, kundalini awakening, japa and mantra practice... they're all covered. New Age fads that aren't genuine cultivation teachings are ignored. To get this newsletter, just fill in the box and click the ">> Start the Sharing! >>" button. Do it right now! Here's your first FREE BONUS. 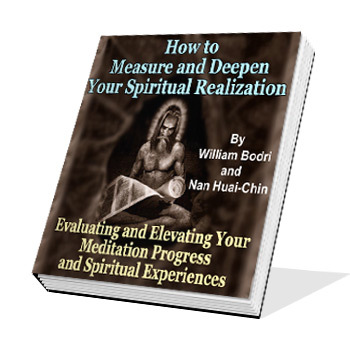 Upon subscribing to our newsletter you will instantly receive downloading instructions for a FREE chapter from our best-selling book, How to Measure and Deepen Your Spiritual Realization, that introduces the case studies of many ordinary meditators. There's also an analysis of advanced spiritual masters who successfully used a variety of meditation techniques and spiritual schools. This chapter on meditation case studies will definitely help you understand your own personal, yoga experiences. It has all sorts of teachings on how to meditate effectively and how to understand the results of meditation. Download this Free "How to Meditate" eBook and Send it to Friends, too! If you have ever wanted to change your astrological fate and fortune, which is the karmic destiny you've inherited from past lives that you manifest in this life through your "hard efforts," then this manual will teach you how to defy a "capped" fate and turn lack into plenty and misfortune into fortune. By using the 6M method that combines eastern meditation techniques with Western material accomplishments, you'll become able to manifest a new fate and fortune you didn't have in store for this life. Want to know what's right or wrong in cultivation circles, and what errors to avoid in your spiritual practice and tradition? 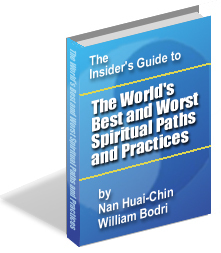 This information reveals the common errors of the spiritual path made by practitioners today, and tells you how to realize spiritual enlightenment without wasting your time on dead techniques and useless spiritual traditions. 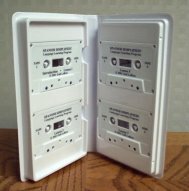 A tour de force of various nondenominational ways to measure the extent of someone's meditation progress, using case studies that analyze ordinary practitioners and advanced meditation adepts from a large variety of spiritual traditions (Zen, Taoist, Tibetan Buddhist, Christian meditation, etc.). No other book ranks the transcendental stages of the spiritual greats according to objective criteria, and evaluates whether they had achieved samadhi or enlightenment. This 700-page instruction manual goes way past comparative religion and reveals specific yoga teachings to help you surpass each spiritual attainment level prior to enlightenment. It melds the best spiritual teachings from Eastern and Western sources. 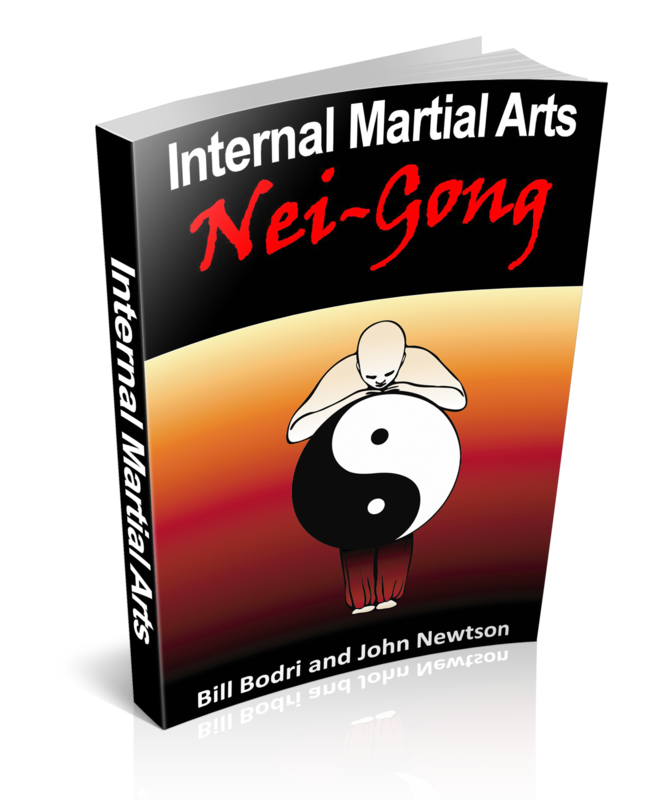 If you want to know what it's like to be taught by Master Nan and how to analyze someone's stage of meditation or spiritual progress, then this is the book to buy.